Often time it is as much for the interesting people that I meet as for the exotic scenery or places that I get to visit that holds the fascination for my journeys. This time, it is during my visit in Costa Rica that I’ve encountered an interesting lady from San Francisco Bay area, in her 80’s, with an amusing name Wacky Jacky, who is still the captain of her salmon fishing boat. Jacky inspired me to research and write this particular piece/post on the solar-powered boat that had recently circumnavigated our planet earth. The PlanetSolar solar boat, Turanor, sailed around the world in 584 days (covering over 32,000 nautical miles of travel), started from Monaco on Sep. 27, 2010 (headed West for Atlantic Ocean, Panama Canal, Pacific Ocean, Indian Ocean, Suez Canal, before returning to Mediterranean), and ended on May 4, 2012. The journey was initiated by Swiss engineer Raphael Domjan, developed by a team of physicists, engineers, boat builders, and environmental scientists, following the path as closely to the equator as possible to maximize the boat’s exposure to the sun. On this boat there are over 500 square meter of solar panels and the biggest lithium battery in the world at the time (meaning they could store over 1 megawatt-hour of energy), common room, kitchen, and bedrooms for the six crew members. 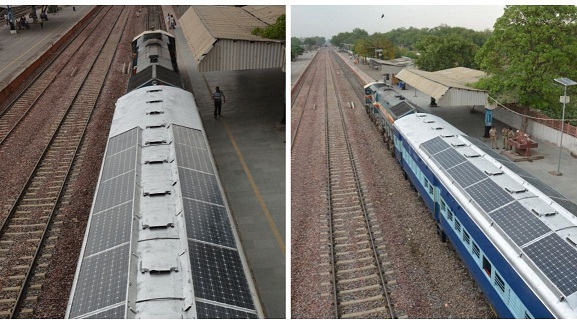 At various stops along the journey, the crew stopped to promote sustainable/solar energy. Now, let’s take a close look at this First Solar-Powered Boat That Had Circumnagivated The Earth, in this video clip. 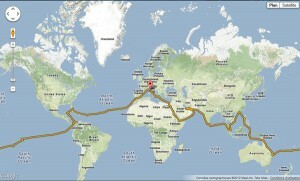 On 27 September 2010 Tûranor PlanetSolar started on a journey around the world in Monaco. With this expedition, the iniatiors of the project would like to focus the public awareness on the importance of renewable energies for environmental protection. The crew of six will circumnavigate the globe solely with the aid of solar power. Captain of the expedition is Frenchman Patrick Marchesseau. Other participants are Christian Ochsenbein (Bern, Switzerland) and Jens Langwasser (Kiel, Germany); as well as project initiator Raphael Domjan (Yverdon-les Bain, Switzerland). On the first leg across the Atlantic Ocean technician Daniel Stahl (Kiel, Germany) and first mate Mikaela von Koskull (Finland) were part of the crew. On 27 November 2010 the solar boat reached Miami. A significant stopover was Cancún, during the United Nations World Climate Conference. At the centerline of the world tour, the French Canadian Captain Erwann Le Rouzic took over in New Caledonia mid May 2011, for the further circumnavigation sharing the master’s responsibility with Captain Patrick Marchesseau. End of May 2011, the boat docked at Brisbane, where in an official ceremony the “PlanetSolar Relay for Hope” was launched, a global relay children and young people can take part in and present their visions and hopes for a solar energy driven world through essays, videos, music, drawing and models. 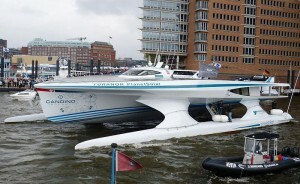 An earlier sustainable energy boat designed by LOMOcean Design, Earthrace, had attempted to set a round-the-world record powered by Bio Diesel. So, dear Wacky Jacky, despite all concerns regarding energy crisis, the human spirit will prevail, in continuing women’s/men’s spirit of adventure or exploration. We will continue to push forward in unveiling a new era of renewable/solar energy. 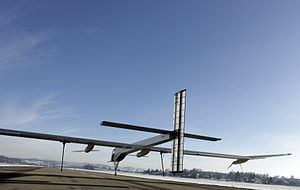 Solar Impulse Update ! World’s First Solar-Powered Intercontinental Flight Completed ! on March 12, 2011; July 14 (1), 2011; and July 14 (2), 2011. The team will then head over to Ouarzazate City where the first solar complex is being developed. Morocco’s ambitious and expensive plan to draw 40% of its energy needs from the blazing sun by 2020, (with a thermo-solar power plant of capacity of 160 megawatts and five solar energy plants to produce 2000 megawatts of electricity), reducing CO2 emission of 3.7 million tons, received a publicity boost this week as Solar Impulse completes its first intercontinental flight and lands in the Moroccan Capital, Rabat. “We came here out of admiration for Morocco’s pioneering solar energy program,” Bertrand Piccard said. “It was perhaps the most beautiful flight of my life. I have dreamed since I was a child of flying without using fuel,” said Piccard, the man who who co-piloted the first hot airballoon to circle the world non-stop in 1999. Morocco is one of the few countries in the region almost completely dependent on imports for its energy needs and it had been hard hit by the soaring oil prices these past few years. “We have to reduce our dependence on fossil fuels, most of which we import,” Mustafa Bakkouri added. The Ouarzazate plant is expected to be operational by 2014, with plans to boost its capacity to 500 megawatts by 2015. The ultimate goal is to draw 40% of Morocco’s energy needs from the sun by 2020 and a string of solar energy plants across North Africa that would eventually supply all the energy needs there, as well as 15% of Europe’s. 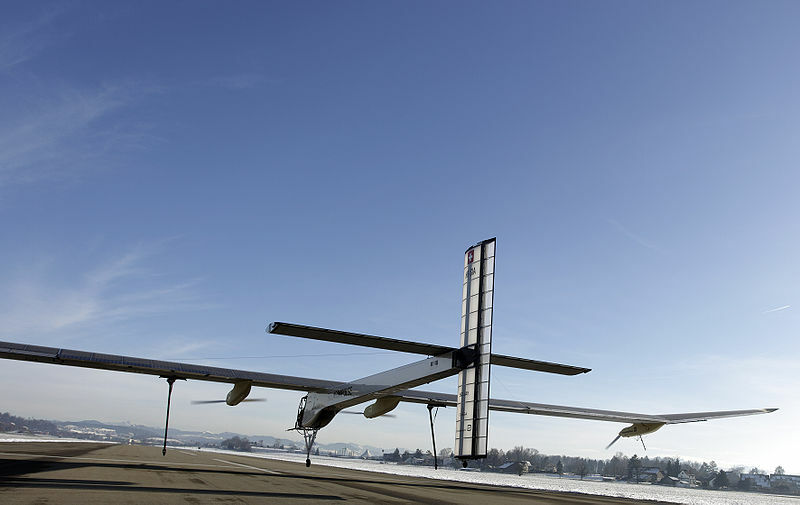 The success of this flight is not to offer an alternative to commercial airliners but to push the limit of what is possible with solar technology, be it in the form of intercontinental flight or in the form of independence from fossil fuel. We wish continued success to both Swiss Solar Impulse and Moroccan MASEN’s energy plan. 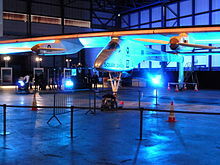 We will also look forward to the World Flight (around the world) scheduled for Solar Impulse in 2014.